The C4 Extreme Energy formula features twice as much caffeine, more focus and more endurance than C4 Original. C4 Extreme Energy isn't for the casual gym goer; it's for those of you who want to explode through their PRs over and over and over again. 3.2g Beta Alanine, 1g Creatine Nitrate, 1g Arginine, 831mg extreme energy blend, 300mg caffeine per scoop. 30 servings per container. Unbeatable Flavors: There's a flavor for you. 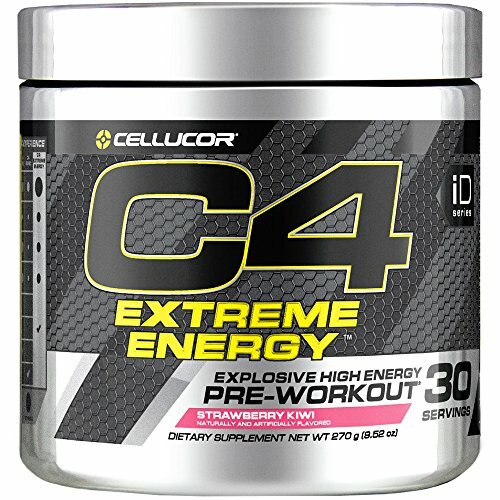 C4 Extreme Energy is offered in Cherry Limeade, Icy Blue Razz, Lemon Drop, and Strawberry Kiwi.